Claude Welch, former dean, president, and professor emeritus of historical theology at the Graduate Theological Union (GTU), died Friday, November 6, 2009. Welch graduated from Upper Iowa University with a BA in history, received his BD and MDiv from Yale Divinity School in 1945, and his PhD from Yale in 1950. His doctoral dissertation was later published as In This Name: The Doctrine of the Trinity in Contemporary Theology (Scribners, 1952) and is considered to be a seminal twentieth century work on the Trinity. Welch taught at Princeton University from 1947–1951 and Yale University from 1951–1960. He served as Director of Graduate Studies in Religion at Yale from 1954–1955. From 1956 to 1957 he engaged in research on Karl Barth at the University of Heidelberg on a Fulbright scholarship. Welch was appointed Berg Professor of Religious Thought and Chairman of the Department of Religion at the University of Pennsylvania in 1960. In 1964, he was appointed Associate Dean of the College of Arts and Sciences. In 1969, Welch was appointed the Director of the Study of Graduate Education in Religion by the American Council of Learned Societies. He was elected President of the American Academy of Religion in 1970. 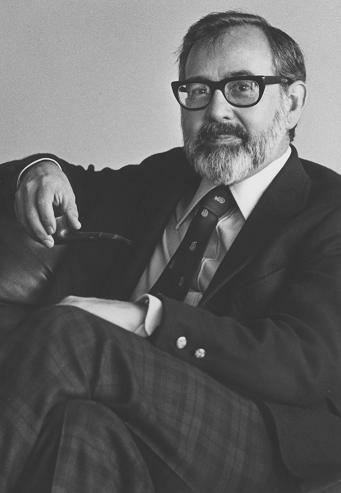 Welch served as Graduate Theological Union Dean and President from 1971 to 1982 and as Dean from 1982 to 1987, when he retired. He taught Nineteenth Century Theology throughout his career, and authored several books, among them Protestant Christianity: Interpreted through its Development, coauthored with John Dillenberger, (Macmillan, 1988); and the two-volume Protestant Thought in the Nineteenth Century, (Yale University Press, 1985). Among his many accomplishments at the Graduate Theological Union, Welch is best known for: 1) Expanding the academic ties between the GTU and the University of California, Berkeley, such as: the joint PhD in Near Eastern Studies and cross-registration for courses; 2) Overseeing the expansion of affiliated centers, institutes, and programs such as the Patriarch Athenagoras Orthodox Institute; Center for Theology and the Natural Sciences; Institute of Buddhist Studies; Pacific Asian-American Center for Theology and Strategies; and the Center for Ethics and Social Policy; 3) Establishing the GTU Distinguished Faculty Lecture in 1976; and 4) Planning for the GTU Common Library building and the completion of Phase I in 1981. This in memoriam was reprinted in parts with permission from the Graduate Theological Union. For the original copy, visit http://www.gtu.edu/news-events/gtu-news/claude-welch/. Photos are credited to Marriam Cramer, ca. 1985, and are courtesy of the GTU Communications Department.